I have been fly fishing in Mexico for a long time, and I still am enthusiastic about the prospect of doing it again. I hope you have been entertained with my fly fishing stories, and possibly motivated to try fishing in Mexico on your own. Several of you have contacted me about fishing Rocky Point, and I hope my suggestions have helped to get your program started. Some of you have written me off as some old crazy guy that fly fishes out of a boat that is way too small for the Sea of Cortez. Fishing in the sea is just not your thing. 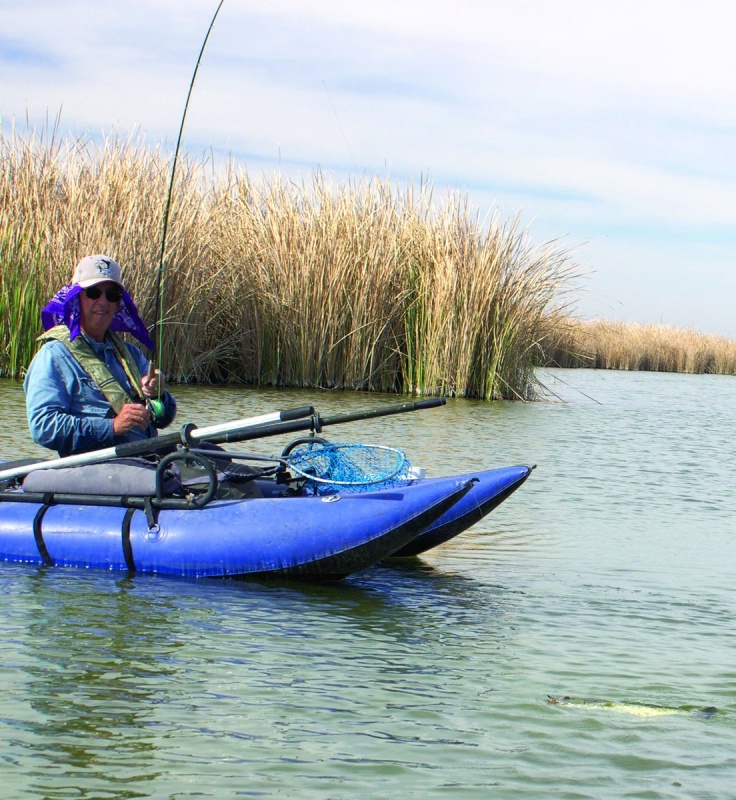 That’s OK Mexico has much to offer in freshwater fishing. Two years ago my fishing buddy Grant Baugh, who spends winters in El Golfo, emailed me to ask if I would be interested in fly fishing for Large Mouth Bass. YES! We hatched a fishing plan, and I was off to fish for Large Mouth Bass in February. Those of you who Bass fish in Arizona know that is at least a month early for most good Bass catching. Our destination was north of El Golfo and south of Yuma on a section of the Colorado River known as the Cienega. It’s not signed well, and not easy to find so I would advise that you go with a friend that has been there before. 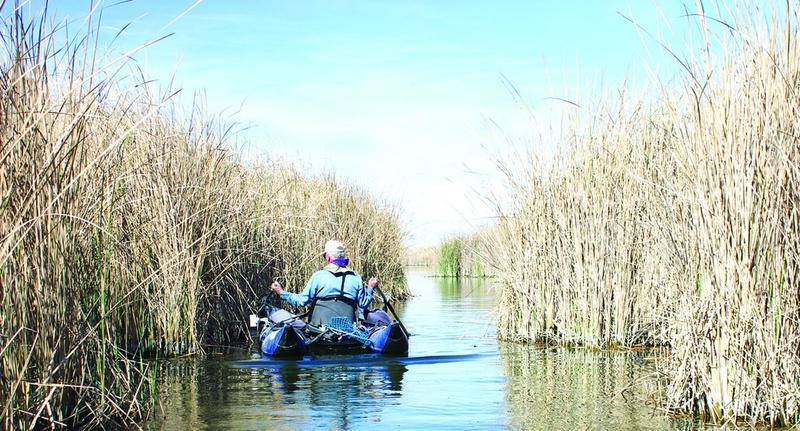 When we arrived the section of river was wide, slow, shallow, and lined with grasses and cattail. A perfect habitat for fish and birds. We unloaded out pontoon boats and were casting into the cat tails with mouse pattern flies. 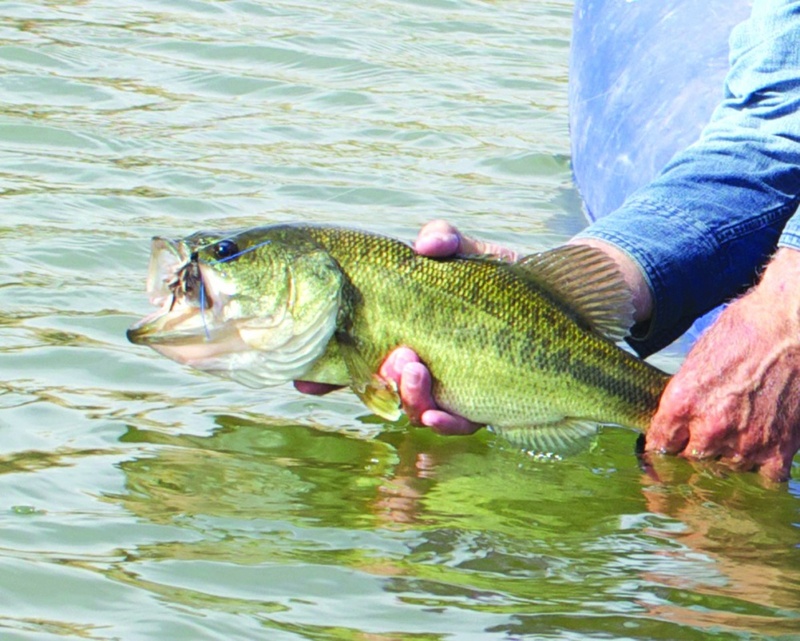 The Large Mouth Bass simply could not resist the banquet that we were offering. We hooked lots of Bass for two days, but something else got my attention. I had packed plenty of Bass flies, but I had given no thought at all about Carp fishing. The water was clear, and one could spot monster carp. The small ones were about 10 pounds and the larger ones were closer to 20 plus. I couldn’t help myself, I had to cast to them even though I didn’t have any flies that were especially carpy. I finally got one to eat a Clouser. The brute took off, taking line like a world class sprinter. When I tried to apply the breaks the tippet made a sharp CRACK noise, and the Carp continued on with the Clouser in his mouth. I went back to fishing for Large Mouth Bass, but I have not forgotten about the carp. Last year we had scheduling problems, but this year looks like I’ll have an opportunity to fish for Bass and I’ll bring some carp flies this year. I have written about some of my dark side carp fishing adventures in other publications. Some of my Trout Unlimited buddies have mentioned that I could possibly use a carp fly fishing intervention. I am not sure I want the cure. Vince Deadmond “The Fly Fishing Hardware Guy” can be reached at Best Hardware 237 N Apache Trail, Apache Junction, AZ, vince@ajbest.com and at 480 982 7461.